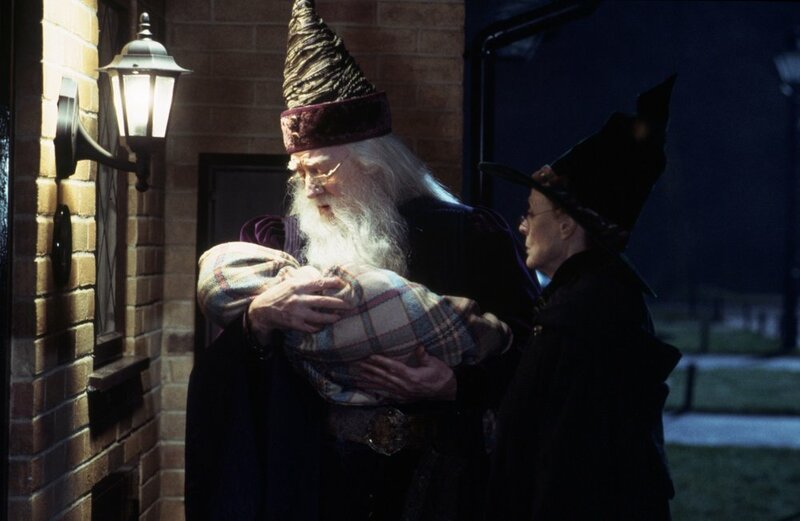 An orphaned boy learns he is famous in the wizarding world for once having bested an evil wizard as a baby. Upon rejoining the world of wizards, the boy joins a wizard school. 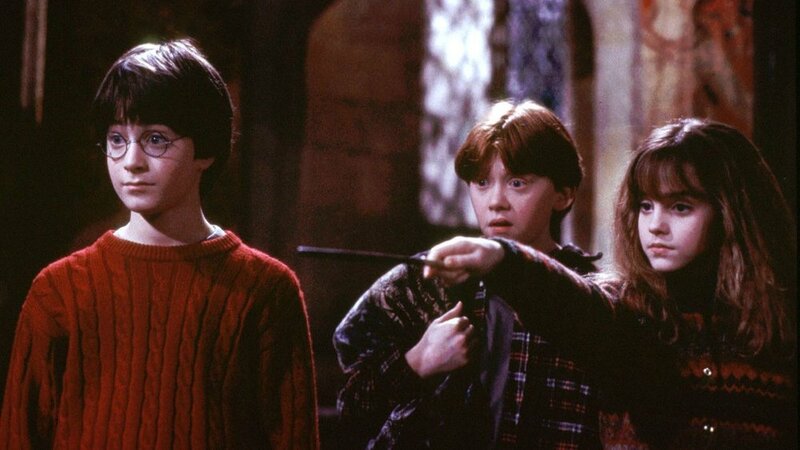 When this film came to theaters I was eleven years old, the same age as Harry when he first gets his letter to Hogwarts. I grew up with Harry Potter and fell in love with the world that J.K. Rowling created; fell in love might be too light of term… I was obsessive about Harry Potter. I read the books dozens of times (and had multiple copies on my bookshelf), my walls were adorned with posters of the movies and characters, I bought the film’s soundtracks, spent hours reading interviews with Rowling and hours more reading internet fan boards about theories and news, I stood in line to get books 4-7 at midnight, and saw movies 3-8 opening weekend… These books and movies, the stories they tell, helped shape me as a person today; it developed my reading habits and cultivated my love of fantasy. As a child, when I first watched these movies, I thought that they were perfect (of course I did, I was eleven), but as the years have worn on, my views on the quality of these movies has depreciated. Let me say first that I still really enjoyed watching this film, and though I’ve only given it a 3/5 stars, I could still recite probably 50% of the lines in this film and I can guarantee these films will be ones that I’ll return to probably a dozen more times in my life, if not more. The story is still one that I consider to be amazing, but the craft with which this first film was delivered was rather lackluster. That’s not to say that there aren’t some good moments, but this film, especially when compared to some of the later Harry Potter movies, just hasn’t aged as well as some of the others, nor is it as magical or as much fun. However, while the way this story was told might’ve been a little dull, the story itself is still filled with wonder, and it’s impossible for me not to hold this film in higher regard than your average cinephile. It’s not perfect, but it lays the groundwork for the Wizarding World, and for that alone, I still kind of like it. That being said, let me talk about all the issues this movie has. Eleven years after the death of his parents, orphan Harry Potter (Daniel Radcliffe, Swiss Army Man) receives a mysterious letter from a school called Hogwarts. Furious, Harry’s Aunt Petunia (Fiona Shaw, The Black Dahlia) and Uncle Vernon (Richard Griffiths, Withnail & I) whisk Harry away in an attempt to shield him from the malicious letter senders, but Hagrid (Robbie Coltrane, Brave), the Hogwarts groundskeeper, tracks them down and offers Harry a chance to live in a world of magic. Harry then travels to Hogwarts where he meets new friends like Ron (Rupert Grint, forthcoming Instruments of Darkness) and Hermione (Emma Watson, Beauty and the Beast), new mentors and teachers like Headmaster Albus Dumbledore (Richard Harris, The Count of Monte Cristo) Professors McGonagall (Maggie Smith, The Prime of Miss Jean Brodie) and Snape (Alan Rickman, Die Hard), and rivals and enemies like Draco Malfoy (Tom Felton, The Rise of the Planet of the Apes) and the evil wizard Voldemort. So first off I want to criticize this film for not being incredibly creative. Wait- before you jump down my throat let me explain what I mean by that. The world of Harry Potter- that is, the world that JK Rowling put to page- is incredibly creative (the idea of a boy going to learn magic isn’t something groundbreaking, but the way Rowling infused vibrant details and really made the world come to life is quite marvelous). What I mean when I say that the film isn’t creative is this: J.K. Rowling created a world that popped from the page, and a good director would be able to take those descriptions and run with them to make a world that feels just as magical, and I would argue that Chris Columbus fails to capture the magic essence of the book. To really see an example of what I’m talking about, lets look at the most recent entry into the Wizarding World, a film that isn’t even related to the Harry Potter storyline: Fantastic Beasts and Where to Find Them. This film is also flawed (though for story more than feel), but I would say that it captures the feeling of the world of Harry Potter more than this entry. Why? The magic in Fantastic Beasts feels far more (for lack of a better word) magical- there are dozens of strange things that happen without any real reason and that don’t really have any bearing on the plot (i.e. messages in the US Ministry that look like rats, various spells that happen in the background without ever focusing on them, the designs of the wizarding homes and bureaus, and of course the titular fantastic beasts). There’s almost always something magical going on and it’s never that big of a deal except to the Muggle character played by Dan Fogler. In this film, whenever anything magical happens, it’s in the forefront of the film; front and center. Now, think about it, lots of these characters were raised in wizarding families; why would they get super excited about seeing a feather float or using a simple spell like ‘Lumos’? They wouldn’t, that sort of magic would be commonplace. Where are the spells in Diagon Alley? Why don’t we ever see anything crazy happening in the Great Hall? Where’s the giant squid? The film is already too long as it is, so I’m not saying they needed to add extra scenes (nor am I criticizing it for leaving things out- I think Prisoner of Azkaban is one of the better entries and that leaves out a lot), but the film feels incredibly flat when it should be full of life and color. A majority of the ‘flatness’ feeling comes from the direction of this film, which, lets be honest, is kind of boring. There are dozens of scenes set in awesome locations, but we barely get to see any of those locations in detail. Ninety percent of the scenes start with an establishing shot that shows the location, and then we immediately punch in for medium shots and stay there for any dialogue or action, and then the scene will cut to something else. That sort of flat direction doesn’t lend itself to feeling wondrous at all. It’s fine for a few dramatic scenes, but when every scene is the same medium shot on our characters as they talk through their problems, the movie feels boring. We should have sweeping epic shots of Hogwarts when they first arrive, shots that slither and creep as they sneak through the third floor corridor, shots that ease through the fog when they walk through the Forbidden Forest… instead we have a hundred scenes that look exactly the same. Another thing that is a problem here is acting. I can’t criticize this too much, as a lot of the main characters in this film are kids and as the series goes on a lot of them find their footing and really improve. There are some actors that stand out; Alan Rickman, Richard Harris, Maggie Smith, John Hurt (Only Lovers Left Alive), and David Bradley (Hot Fuzz) were all fantastic and therefore exempt from this next criticism. Unfortunately, a lot of the lines in this film are delivered without emotion; it feels as if the people are just reciting lines they’d just memorized the night before. The worst parts are when a scene should really have emotional impact: like when Harry and Hagrid talk about Voldemort for the first time, and Hagrid reveals that Voldemort killed Harry’s parents. In the books, there is such an air of terror that surrounds Voldemort that Hagrid is barely able to get through the story, but in the movie, the only sort of tension in that scene comes from John William’s score (his score helps a lot of scenes in this movie). Hagrid recites his lines with less emotion than a box of rocks, and because of that I felt nothing at all. Pacing is another issue, but it’s hard to really hold that against this film. There is a lot that happens in this book- honestly, the story is better suited for television (something I’d love to see- a television adaptation of this series). There are just too many incidents that are squeezed into this story that have very little affect on the overall outcome and as such we have issues like the scene where Hagrid hatches the Norwegian Ridgeback Dragon Norbert in his hut. The dragon hatches, and then the next scene our trio of heroes is caught sneaking through Hogwart’s halls after curfew, and the subsequent scene is them being punished in the forbidden forest, and Hagrid complains that Norbert was taken away. Why even include Norbert in the story? It confuses and jumbles the timeline of the movie- how long ago was Norbert hatched, and how long between then and when the students were sent to detention? I couldn’t tell you. The only reason that scene was included was to appease the book readers, but you can’t include everything in the movie or the movie feels bloated (as this one does). Cuaron struck a great balance of crafting his own story while still remaining relatively close to the book with the third film, and that one also feels ten times as magical as the first two entries directed by Columbus. Production design was something I was rather split on for this movie, especially when compared to the later films. There are sets that look good like Diagon Alley (Olivanders looks fantastic), the moving staircases, the Quidditch stands, and the exterior design of the castle. But again, there just isn’t enough going on in the frame for me to tangibly feel the magic- I’m not saying I want a George Lucas special effects overload, just flush out the world so that I can tell there’s magic beneath the surface. Lots interior stuff with the castles is kind of boring, and really doesn’t make a ton of sense if you think about it for too long. One example is the Gryffindor common room, which is quite small (and barely decorated). 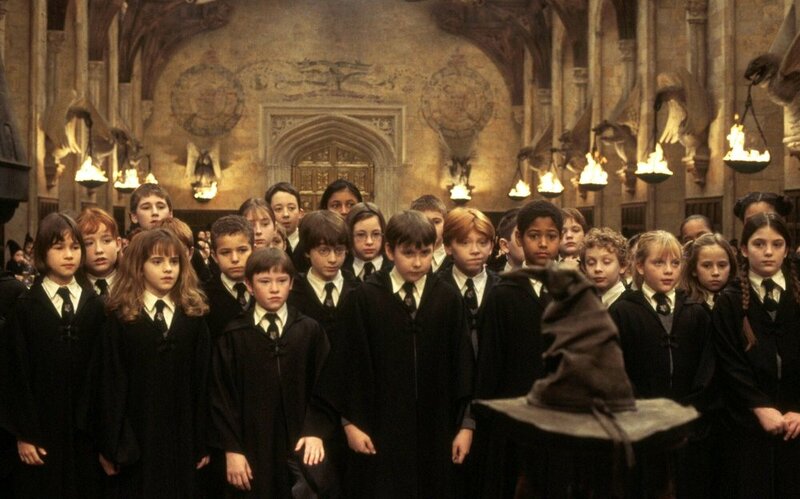 Hogwarts is supposed to house students from the age of eleven to eighteen and it’s one of the larger Wizarding Schools in Europe, and the school was founded in the year 990, so why does the room feel empty and without history? The Gryffindor common room in this film looks like you might be able to fit ten people comfortably. 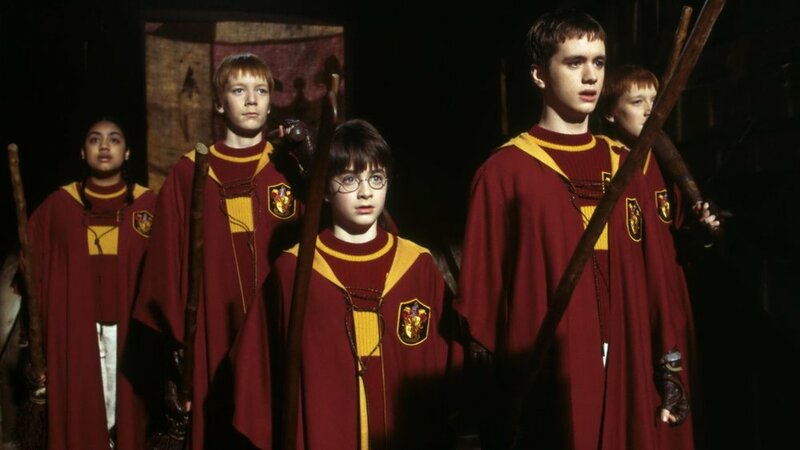 Where do the other hundreds of Gryffindors go? Where are the moving portraits of Godric Gryffindor, the decorations of crimson and gold, the carvings of lions above the hearth? Another thing, the classrooms and corridors that Harry walks through are often pretty bare. We’re shown a few books, maybe a caldron or two, and that’s usually about it. Compare that again to the later films, where there are weird ornaments on the walls, moving paintings or portraits, and stack upon stacks of books, papers and various other things. I know that a lot of my criticisms were comparative to the other films in this series, and I do want to address that too- because I’m sure some people will say that I’m being unfair. Sorcerer’s Stone came out in 2001, and many of the scenes using CGI are a little dated- for that, I forgive it. CGI has improved immensely between this first entry in the Wizarding World Franchise and the latest entry, Fantastic Beasts, and that definitely helps the overall magical feeling of the worlds. I also think that David Yates, who directed the last four Harry Potter movies and is planned to direct all five Fantastic Beasts films, has found a good balance between staying true to the source material and creating a cinematic world that feels true to Rowling’s world. This is a good thing; you want a series to grow and improve. This first film was a testing ground in 2001- they didn’t know if this would be the wildly successful franchise it is today. This movie did a few things incredibly well, while some things needed a lot of improvement. Rewatching the Sorcerers Stone after several years of watching the later entries, sort of feels like comparing the 1988 BBC edition of The Lion the Witch and the Wardrobe to the most recent 2005 version. It feels a little dated, a little slow and clunky, but it still has a little nostalgic charm for those who grew up watching them, and for that reason alone I can’t give this film anything less than three stars. This is one of my longer reviews; I hadn’t intended for it to be, but as you might be able to tell I’m quite passionate about this world. While I no longer think this film is a flawless cinematic jewel, I do still think that many people will enjoy it. It might not have the same magic as Rowling’s world, but it’s the best we’ve got (give it twenty years- a remake is inevitable). Though I will admit being bored sometimes this time through, I still found myself laughing at scenes, quoting others, and thoroughly enjoying myself for the most part. Whether I’m looking at this through a rosy red nostalgic-filter or not, this movie is one that I can’t help but enjoy despite it’s flaws.